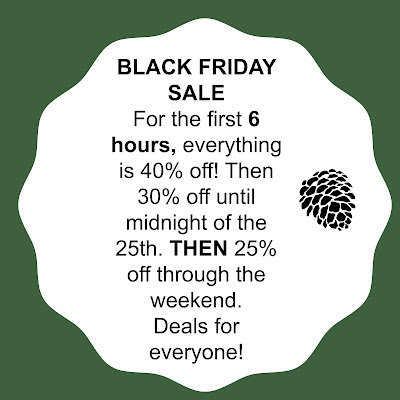 Okay, so because I turned 40 this year, I'm having a 6-hour 40% off sale on Black Friday!! That's the biggest sale I've ever had. and on through Cyber Monday. If you can't wait until then, get to my shop ◄ right now! 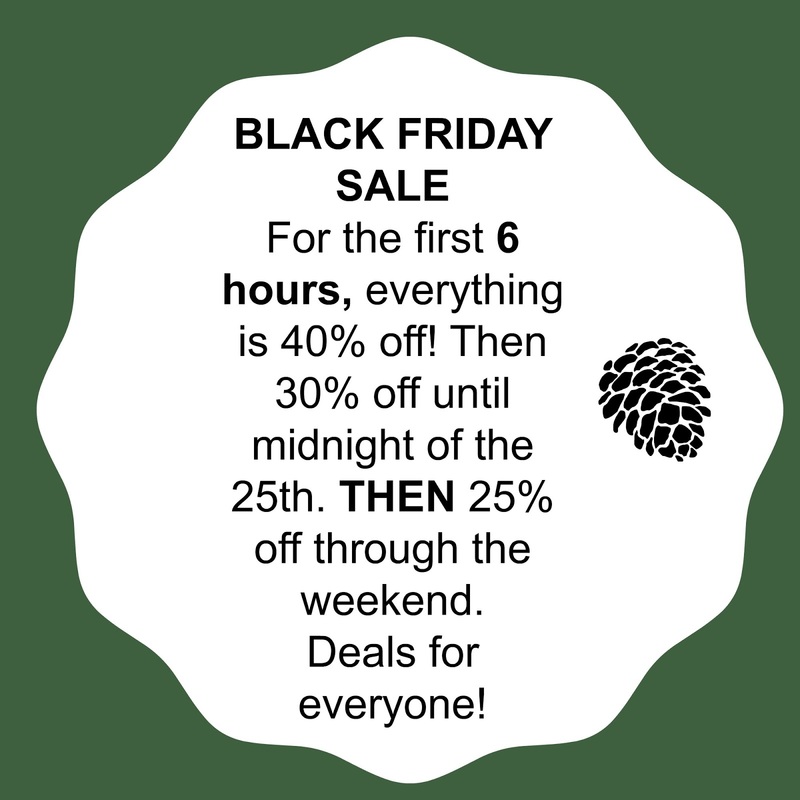 The whole shop is on a 10% off vacation sale, since I'm taking a few days off. (All items will ship Wednesday the 23rd).